HALIFAX, NS – The Cape Breton Post reports that Alexander Keith’s Brewery has released a new beer inspired by one of the most picturesque areas on Cape Breton. Mr. Keith moved from the Highlands of Scotland to Nova Scotia. We chose to use the Highlands that we have in Cape Breton to represent his home country. We used Scottish malts, we used traditional hops, but then we also went and found a modern descendent of Czech Republic saaz [hops] called motueka hops — and what that makes is a nice, bright, floral lager with some nice lime mojito hop notes balanced with a crispy bready-cracker lager fast finish. 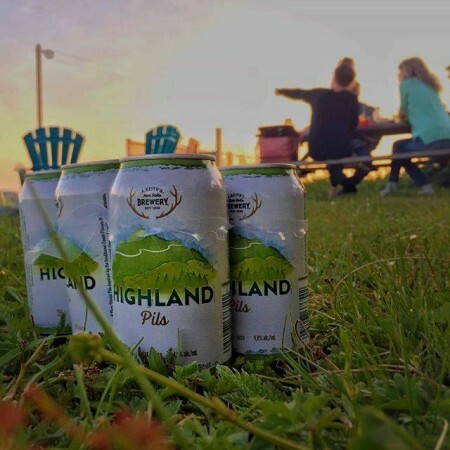 Highland Pils was launched in mid-July, and is available now at the historic Keith’s brewery in downtown Halifax, and NSLC stores throughout Nova Scotia.